Trying to lose weight? Trying to increase your fitness? 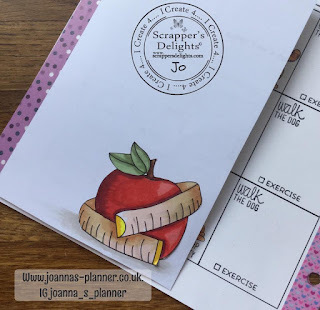 There is a new Fitness Planner available on the Scrappers Delight site. This is a brilliant tool if you are trying to lose weight and get fit. There are different sheets for recording meals and snacks, weekly weights, measurements, exercise logs etc etc. You can build an entire fitness planner. 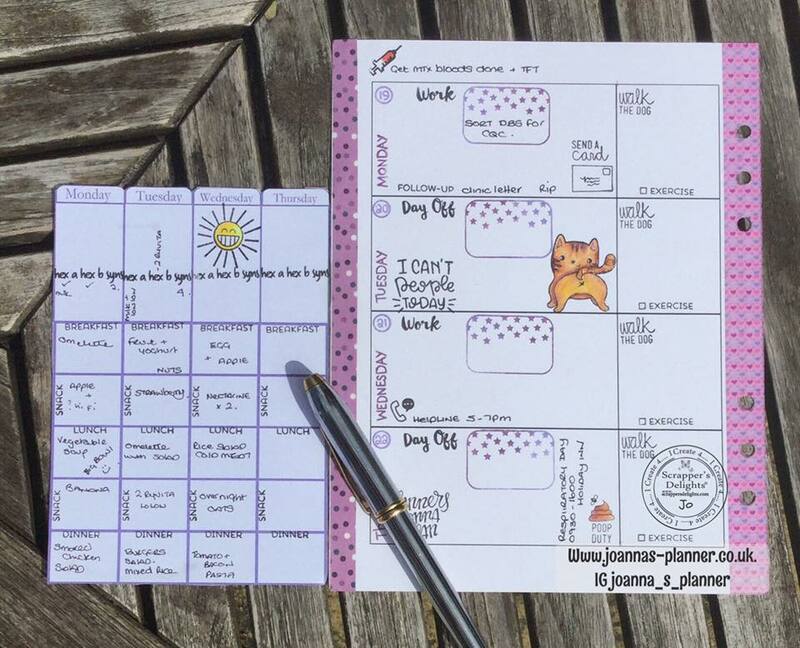 Now, I like everything in one planner. 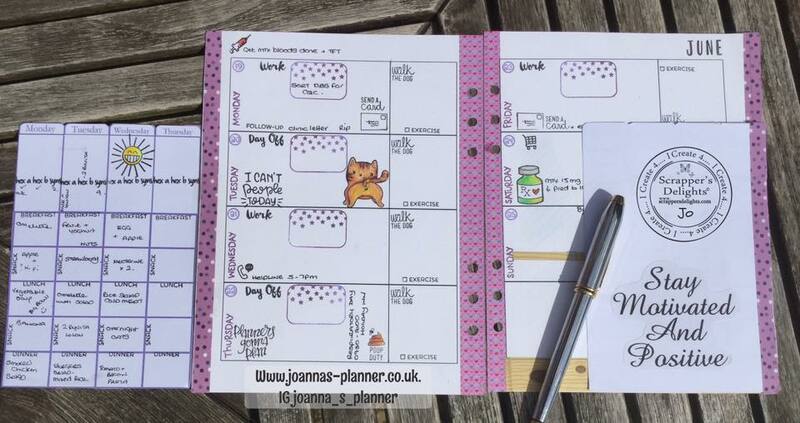 I do not like a planner for this and a planner for that, I want everything in one place. Because of this (and my poor health) I have adapted the fitness planner to suit my needs. At the moment it is important that I monitor what I eat. High dose steroid inevitably leads to weight gain and I need to keep this to a minimum and make sure healthier choices are made. 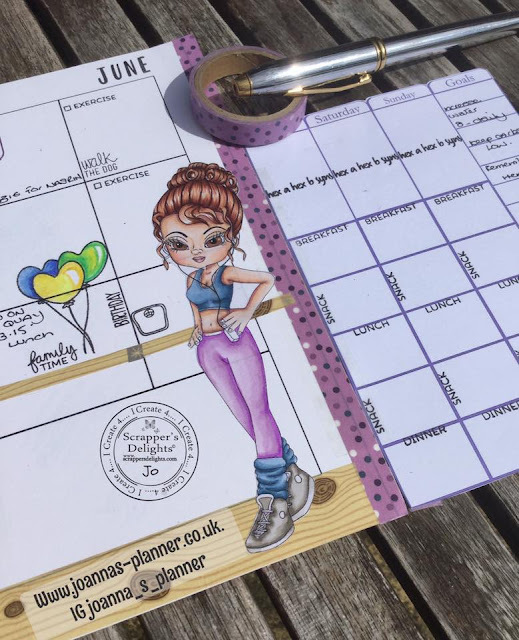 So....instead of using the larger sized fitness planner, I have used the A5 pages and used them in a dutch door format to extend my weekly spread. On the whole I follow the Slimming World Plan so you will see that I have used my appropriate custom stamps to enhance the spread. It has been fairly practical in use this week. 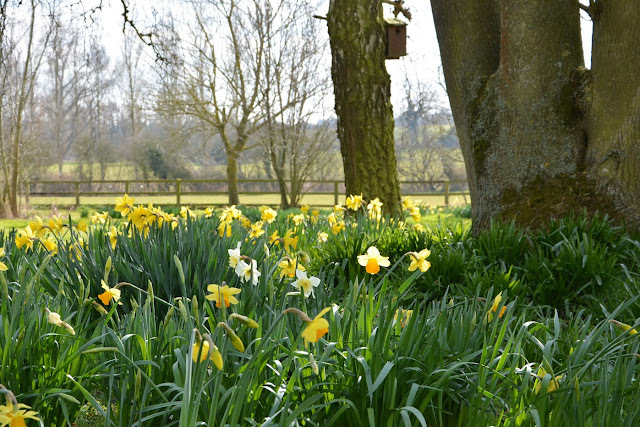 I do think I will need to adapt the spread slightly now I have used it and I know what I want to do. I will leave off the decoration because this can take too much time and distract me from the actual use there of...priority being function over form in this case. 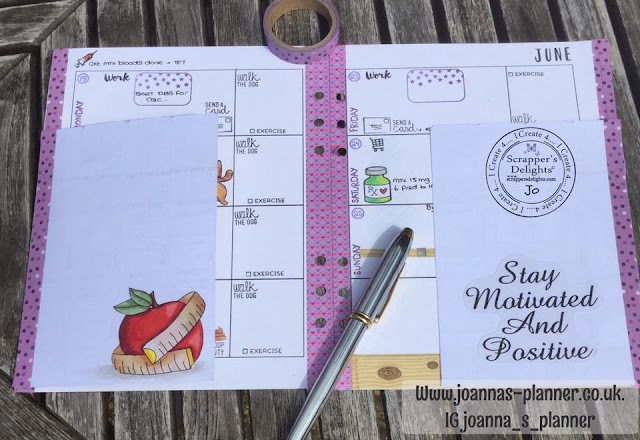 Because the `Dutch Doors` are washi`d in, they can be removed at the end of the week, as I cannot think of any reason to archive my weeks eating lol. Also, I am going to consider a fitness section in my planner...this would definitely work better than a separate planner but like all things to do with planning it will be an organic process. The scrappers delights fitness planner however, gives you the tools to get it just right for you. Such a good idea to make a dutch door system, this way you can make extra room for more things in a planner. Hope you get my drift :-). Well done, Jo.